There are tons of people who talk back to movies. I’m probably the only person you know who talks back to books. This book is a page-turner, a scary, dark, shudder-inducing and twisted thriller with a deeply satisfying conclusion – the right person wins. You may do a lot of screaming, “No, no, no!!! Call the police!! 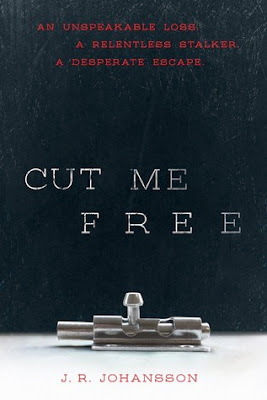 !” and you may flinch and gasp a lot, but this I swear: the book ends in a place which allows you to finally exhale. Promise. Summary: Piper has had a lot of crap go down with her — more than she shows you, at first. But, every wince, reflexive duck and hyperventilating gasp, every nightmare and mumbled conversation with her invisible brother, Sam, it comes clear: she’s been hurt, badly. Someone left her injured, bleeding, traumatized — permanently — and Sam — is gone forever. Piper will never be the same … but, that’s not the point, really. Piper doesn’t want to think about any of that. What she wants to do is start over. Which she’s trying to do. She’s got a lot of cash, and her Nana helped her, long ago, to make the plans. She’s got an idea of what has to be done, to make sure she stays safe, maybe no way to know how to get what she needs, but she’s found someone to help her. Cam is big and tall and handsome — and utterly terrifying. But, he has the information and the means to make her new life a permanent venture. Piper becomes Charlotte; blonde becomes brunette. New ID card, new age, new apartment, new job. It all looks like this new life is going to work out. Too bad she sees something – another injured, traumatized and wounded soul – that reminds her of how close she still is to the old. Is it right to move forward into the light, and leave someone in darkness? Piper couldn’t save her little brother, Sam. But, she can save another life, maybe. Trying to save a life puts Charlotte in the worst danger she’s ever encountered. Notes appearing out of thin air in her apartment, addressed to her old name. Someone knows her secrets — and if she’s not careful, her brave new world will be a bigger, darker prison like the old. Peaks: If you’re looking for a novel which is a fast read with a lot of danger and high stakes, this is it. Plot-driven, this reads like a ticking time bomb, with a psycho on the loose. (Think Stephen King’s INSOMNIA.) While Piper/Charlotte is a sympathetic character, there is necessarily a lot of disconnect between her narrative voice and the reader. She is traumatized, damaged, and dark. She fears everything. Yet, she’s a fighter, trying to pull through. Valleys: While readers feel for Charlotte, it’s still difficult to love her — and more difficult still to discover what her love interest sees in her. She is a mess, and even the most Knight-in-Shining-Armor wouldn’t want to go there with someone who had been jailed in an attic and physically abused for years. That’s just pretty real, and the book didn’t delve into Charlotte’s mental state and reactions and other details in a way that felt genuine to me. Ditto the younger survivor; while I can understand the book not wanting to be graphic, the violence was fairly graphic, so graphic recovery, with things like vomiting and bedwetting seems like it should have been included. If you’re going to write a novel where stuff gets real, be real. I have a hard time with novels wherein the action is all predicated on no one talking to an adult or going to the police. I am the first to understand (oh, so deeply these days) that sometimes the police are WAY more trouble than you want to invite into your situation, but in this case, it seems like myriad situations could have been avoided with a simple phone call and a HELP, PLEASE. There were few appearances of culture or ethnicity in the novel, as Philadelphia is made up almost entirely of people of the dominant culture. Cam’s family is Italian, and of course, there’s the inevitable mafia mention, because obviously ALL Italians have mob connections. That was disappointing. Conclusion: This is a fast-paced entertaining novel, perfect for wiling away a couple of dull hours in an airport. You’ll be perfectly distracted, and things wrap up satisfyingly at the end. Fans of mild horror novels will enjoy this. I received my copy of this book courtesy of the publisher. 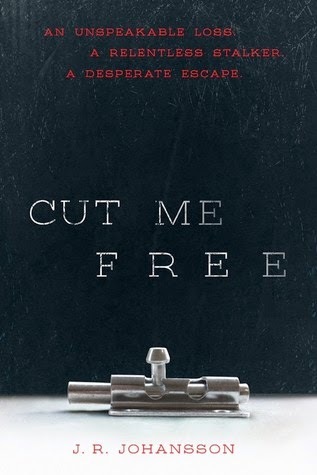 After January 27, you can find CUT ME FREE by J.R. Johansson at an online e-tailer, or at a real life, independent bookstore near you!